There are two types of regulator semiconductor components. Either P-type regulator or N-type regulator. But for Sop-8 type Regulator,it has 8 legs(4 pins on each side). These Sop-8 regulator cannot be identified visually.Because there are many other components that look like it. 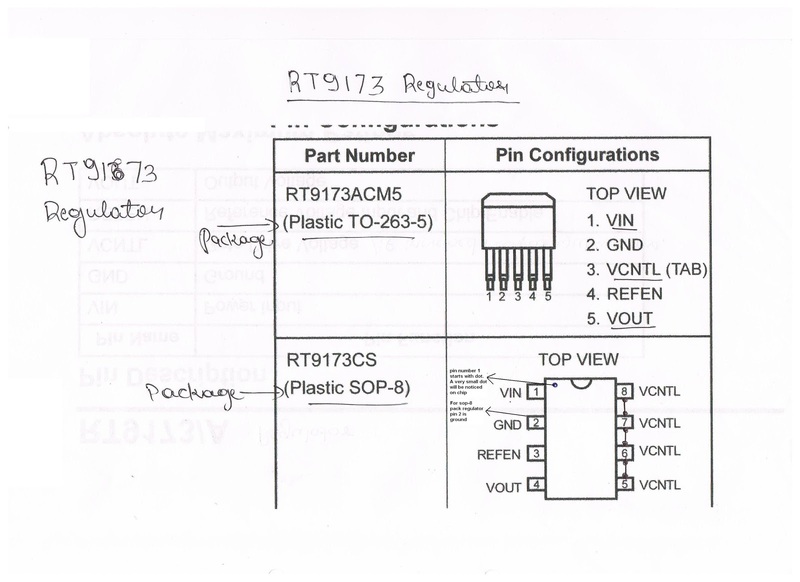 But in Sop-8 package regulator the Pin no:2 is always ground. So with these simple test you can easily identify SOP-8 package regulator on motherboard. Mostly these components are on laptop motherboard then on desktop motherboard. On desktop motherboard there are three leg regulator. As per the image shown of regulator. VIN pis is for power input. GND pin is for ground. VCNTL pin is for gate drive voltage.If gate drive voltage is increased,then out put voltage will increase. REFREN is s reference voltage and chip Enable voltage.Enable voltage are required to activate the chip.If all voltages are received but enable voltage is not there,then regulator chip will not function. What to Do When Car Turns Over But Won't Start?